The first of the items that I opened up was the moisturizer. This “super cream” has a lot of claims! It contains the word transforming in the name, so I am expecting results. This is an ultra-hydrating moisturizer, which is great for my dehydrated skin (just the like rest of me). It is going to help rejuvenate, repair, and restore your skin for softer, smoother, younger-looking results. I want all of these things. I’m not saying that my skin looks like it is ageing, but let’s use all the preventative solutions we can to keep the skin where it’s at. I want more youthful looking skin to fool people of my age for many more years to come! These products were developed by plastic surgeons, so you can count on the best in skin care for skin regeneration. The formula is thick, but not overly thick, and it is fast-absorbing into your skin. It could just be that my skin drinks it up immediately due to how much it needs it, or this product is just always that quick to absorb. It helps to reduce the look of pores and discolouration as well, both issues I have. This eye treatment uses key ingredients like collagen and hyaluronic acid to visibly plump fine lines and wrinkles. These ingredients are common in a lot of newer products these days as they are some of the main “it” ingredients that everyone wants helping their skin. This item isn’t on the Sephora website yet (at least in Canada) but it is on the IT Cosmetics website. This was the second product I opened up. I’m always intrigued by different types of moisturizers and eye creams. All slightly the same, but all completely different in their own ways. This is basically the moisturizing super cream but specifically made for our sensitive eye area. It is gentle enough for the skin around our eyes, it is great for even the most sensitive skin. 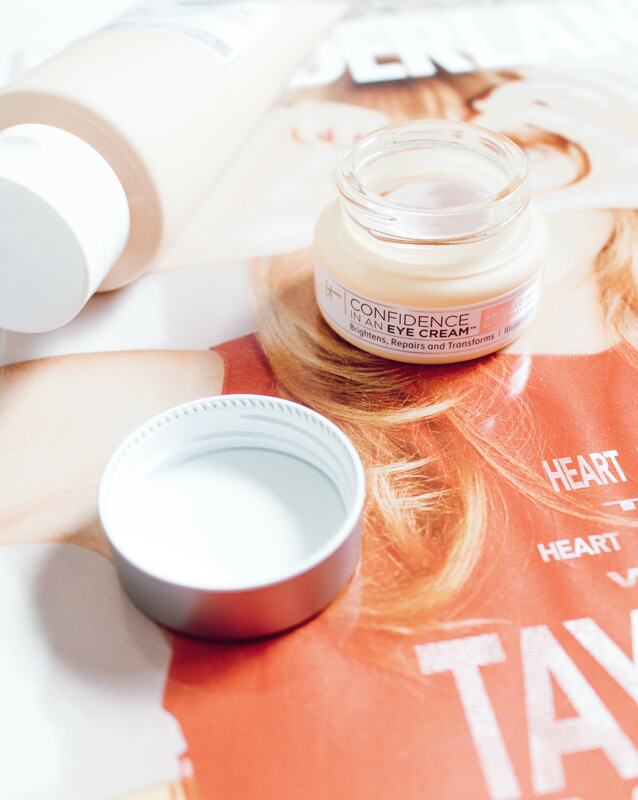 This eye cream specifically helps brighten your eye area to give the appearance of looking more awake. It helps reduce the puffiness and dark circles, and more! It has the slightest pink tint, rather than being a slightly off-white cream, to help colour correct. I’m not saying that this hides everything immediately, but it starts the colour correcting process for you. I have been using this as my main eye cream since receiving it in the mail and will continue to use every last bit of it! Name a product with a longer name, I’ll wait. There are actually many with longer names, but this one was definitely a mouth full. It also does a whole lot more than just cleansing too! This hydrating cleansing serum is an all-in-one step for your routine. It becomes a bit of a lifesaver if you’re running late and have to skip a couple steps. On the other hand, if you are doing a full skin care routine, you get to double up on some of the benefits. Cleansing and hydrating all in one product! Usually, when you think of a cleanser, you think of a product that takes everything from your skin. 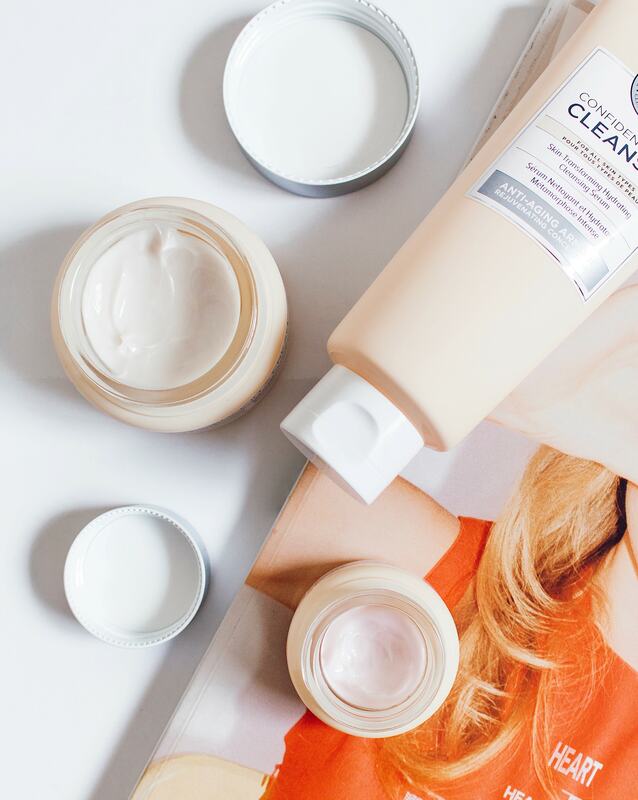 There are some cleansers that strip your skin too much, which isn’t quite what you want. 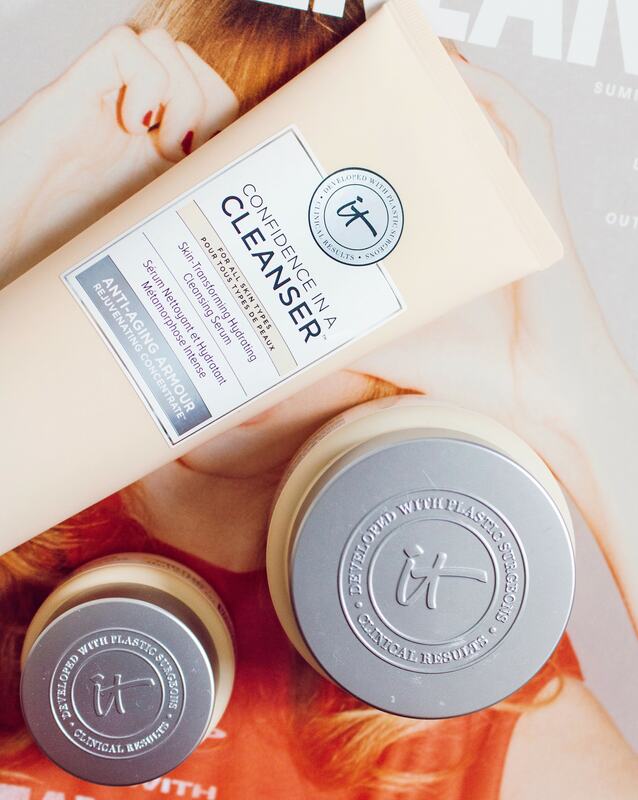 This cleanser is sulfate-free and soap-free. It helps to remove all the dirt and makeup, balances your skin, but also helps hydrate in order to leave you with soft and moisturized skin. This doesn’t mean you can skip moisturizers forever though. This just means that your cleanser is helping you that much more to give your skin the hydration it needs and craves. 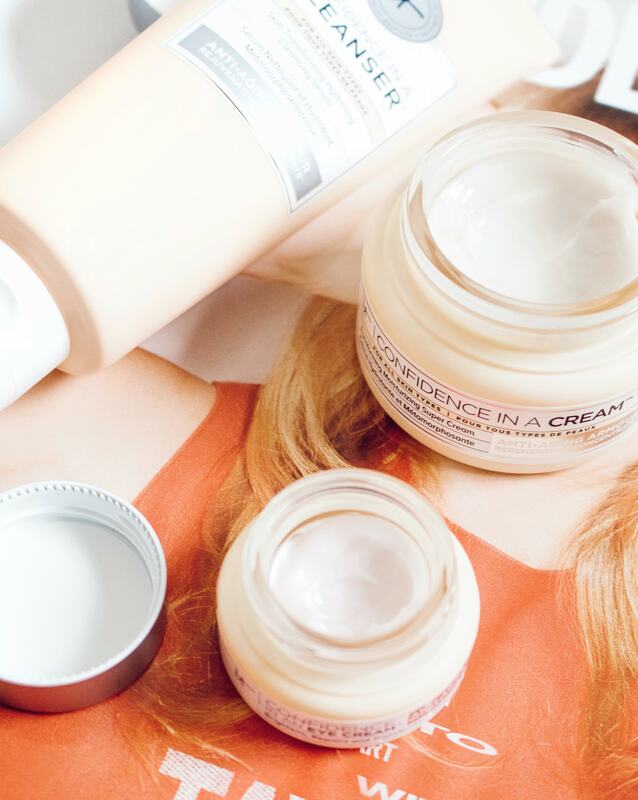 Have you tried any of these “Confidence in a” products yet? I have been enjoying using them over the past while because they do not aggravate my skin at all. I get the cleansing and hydrating benefits from this range and love it. I’m so excited to try more products from IT Cosmetics soon!